Athletics Malta are looking at this week’s Championships for Small States of Europe as an ideal stepping stone ahead of next year’s GSSE in San Marino, president Edwin Attard said yesterday. Attard was addressing the media at the official launching of the inaugural meeting for European small states at the Matthew Micallef St John athletics track, in Marsa, on Saturday. The championships will see the participation of 250 athletes and officials from 18 countries – Andorra, Albania, Armenia, Azerbaijan, Bosnia, Cyprus, Georgia, Gibraltar, Iceland, Kosovo, Liechtenstein, Luxembourg, Moldova, Macedonia, Montenegro, Monaco, San Marino and Malta. Twenty events are in programme during the one-day meet which gets under way at 12.30pm. “We are treating these championships as an excellent benchmark ahead of next year’s Games of the Small States of Europe in San Marino,” Attard said. “Athletics Malta will field a squad of 26 in 17 disciplines. Our team will be a blend of established athletes along with others who will be making their debut at this level of competition. 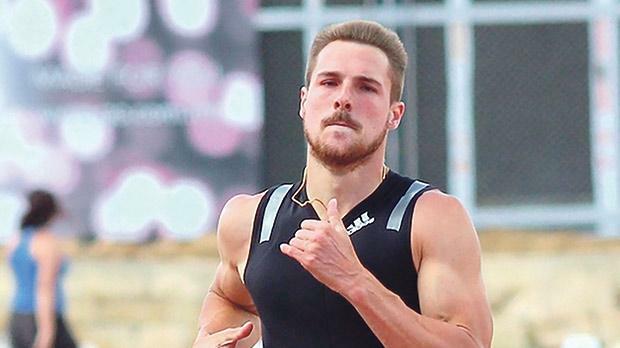 Attard said the country’s best medal prospects on Saturday rest mainly on Kevin Moore and Charlotte Wingfield, winner of a bronze medal at the Mediterranean U-23 Championships in Tunis last weekend. Both sprinters will be competing in the 100 and 200 metres races. “Moore and Wingfield are coming into these championships at the right moment. They are among the ones with the best entry times,” Attard said. The championships will include some high-level performers on the international field, Attard said. “The men’s shot will see the participation of three throwers who boast results above the 20m mark. The men’s long jump, the men’s high jump and the women’s hammer are also bound to produce some excellent performances,” he noted. Mark Cutajar, the SportMalta chief executive, said Athletics Malta had done well to take up the invitation to host a high-level competition at Marsa. “We are very pleased to give our support to Athletics Malta who have taken up the challenge to host these championships,” Cutajar said. “Athletics Malta has established itself as one of the most successful sports organisations on our islands and results over the past few years show the progress made. “At SportMalta, we felt they deserve our backing and now they’re fully prepared to organise this prestigious meet. “Works to resurface the warm-up area at Marsa are completed and a facelift to the surroundings was also applied.